"Bacon chronicles with florid descriptions — and, above all, stories well told. His work shows Tarrytown and Sleepy Hollow abound with tales of national significance." Washington Irving's The Legend of Sleepy Hollow has forever made the locale immortal in American history. 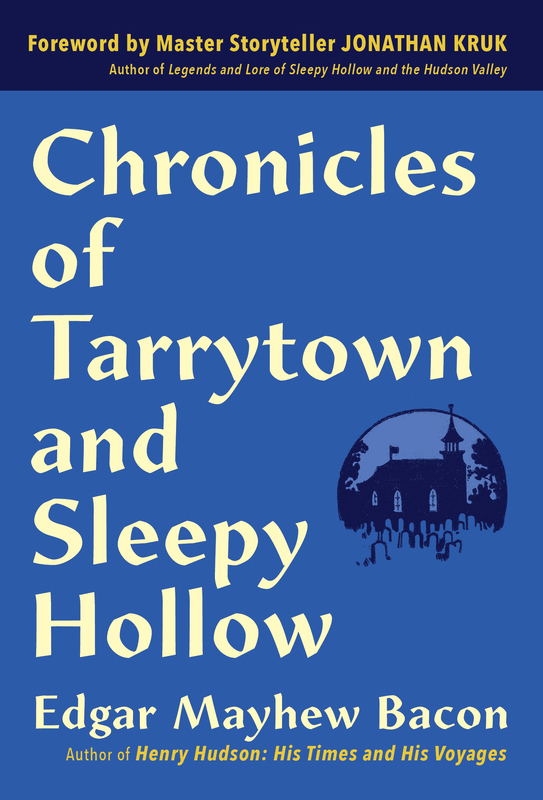 In Chronicles of Tarrytown and Sleepy Hollow , historian Edgar Mayhew Bacon brings the world of early America to life with true tales about The Old Dutch Church (the setting for The Legend of Sleepy Hollow ), Sunnyside, and the area's role in the American Revolution. Also included is a chapter of "Myths and Legends" and the story of The Headless Hessian . Includes black and white illustrations and a fold out map. Edgar Mayhew Bacon was born a U.S. citizen in Nassau in 1855 and spent most of his life in the Tarrytown area. Before becoming a historian and writer, he worked in a bookstore in Albany. He was married in 1903 to Anna Beard. He was a member of the Reformed Dutch Church of Tarrytown, American Historians Association, and the National Geographic Society. He died in 1935 and is buried at the Sleepy Hollow Cemetery in New York. Master Storyteller Jonathan Kruk was named "Best Storyteller in the Hudson Valley" by Hudson Valley Magazine. He performs The Legend of Sleepy Hollow throughout the Hudson Valley at historic sites, schools, libraries and festivals, including sold out shows at the Old Dutch Church in Sleepy Hollow. He is the author of Legends and Lore of Sleepy Hollow and the Hudson Valley .